I have Landsat 7 images from 2011 to 2016 for my agricultural studies. First I corrected the slc-off problem of band 3 and band 4. 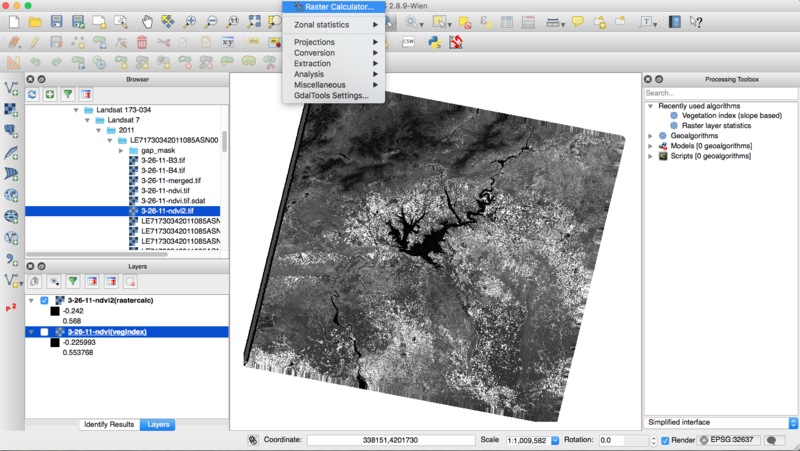 Then I calculated the NDVI using both the raster calculator and the vegetation index (slope based) processing toolbox. I realised that the data range of the NDVI Images are different. The raster calculator results between -0.242 - 0.568 and the vegetation index under processing toolbox results between -0.225993 - 0.553768. Can this be due to rounding or is there something that I may be missing? Testing and comparing a Landsat 7 image (different area to yours, but same sensor data) reveals that the values are in fact both "correct". 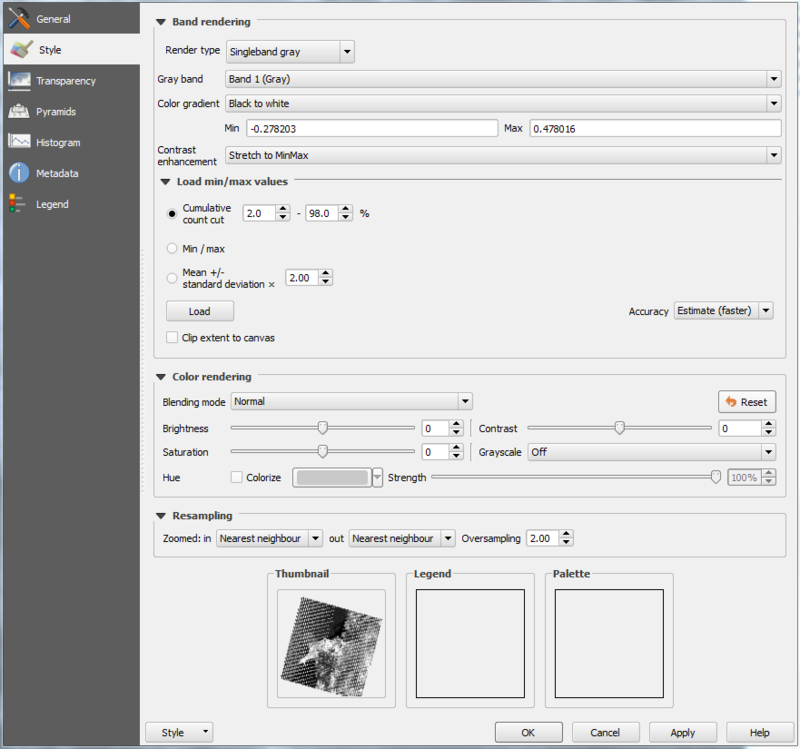 In the screen you can define how to load the min/max data values. As standard these seem to be defined by the Cumulative count cut 2.0 - 98.0%. Experiment with the settings and you will notice the values in the Min Max boxes under the Color Gradient Settings will change. A quick manual control calculation reveals that (B4-B3)/(B4+B3) = 0.4603175 (rounded). Lastly we can compare the maximum data values of both calculated rasters in the layer Metadata. Here we see a discrepancy between the layers though. 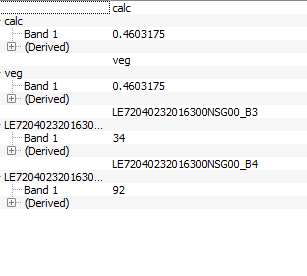 The first image shows the Raster calc values, the second shows the Vegetation index values. It turns out that the discrepancy in values stems from problems with NoData and the image edges. In my test setup the outermost 3 rows of pixels were indeed different between the two rasters. Clipping them to the area of interest removed the distortion in values and both displayed identical Min/Max in the metadata. Not the answer you're looking for? Browse other questions tagged qgis ndvi landsat-7 or ask your own question.